After our version of the Atkin's diet at Afghan Horsemen, we needed something refreshing to wash it all down. The thought of dessert waffles was briefly entertained, but that would've been the Mijune diet. 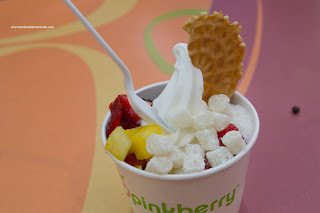 So we ended up heading to a well-known froyo chain out of the US that has recently invaded the Canadian market - Pinkberry. Since we were on Granville Island, I suggested we head to the West Van location, but no one seemed too enthused. Hence, we headed to the Metrotown store arriving just before closing. Costanza and Elaine went for the Mango Froyo. It was not exactly smooth as it exhibited some iciness. However, it did offer up a wallop of flavour in the form of tart and sweetness. 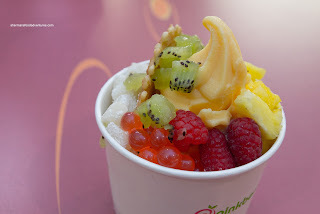 Add in a variety of toppings (as much that can fit) and this was froyo that ate like a meal. The little juice pearls were a nice little surprise. Viv and I ended up sharing a medium since any order includesThe Coconut Froyo was not as aromatic as I would've liked because the tartness was> the dominant flavour. However, it was refreshing and not-too-sweet. It wasn't overly icy either. We loved the variety of toppings and especially liked the soft fresh mochi. 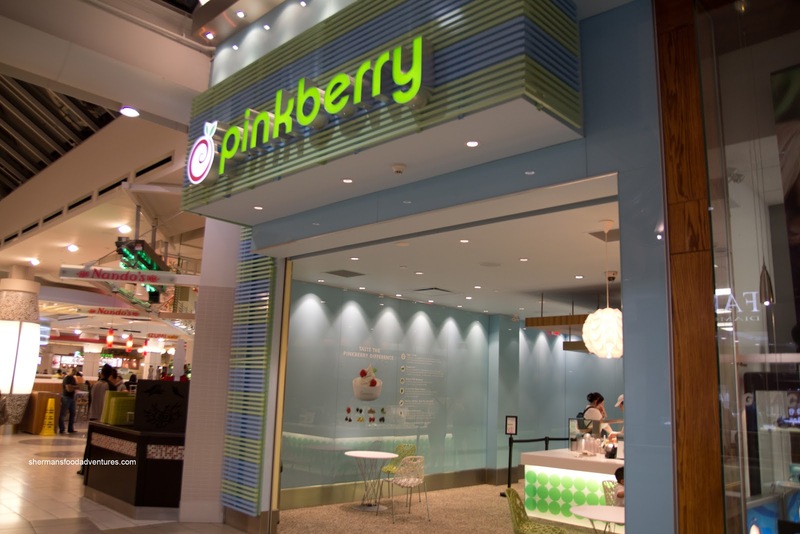 So is Pinkberry worth the money? The answer is: if you got the cash and enjoy froyo, then yes. If you feel the need to spend the money on something else, then no.